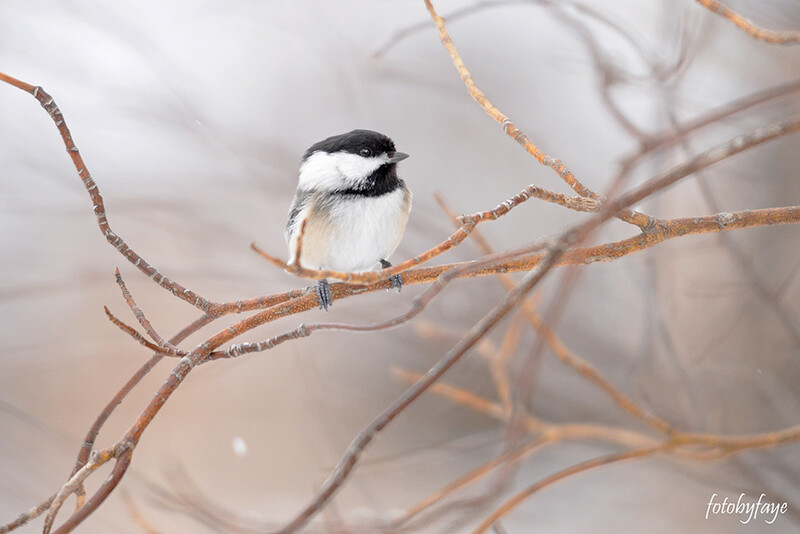 As I walked in the forest I could hear the sound of the chickadees. They actually sound like they are telling you their name. Yes I hear you little chick...a...dee...dee...dee! They also have a call that sounds like "Cheese - bur -ger." This is a fabulous shot. Lovely editing! Fabulous shot and focus. Fav. Wonderful capture of this cutie!